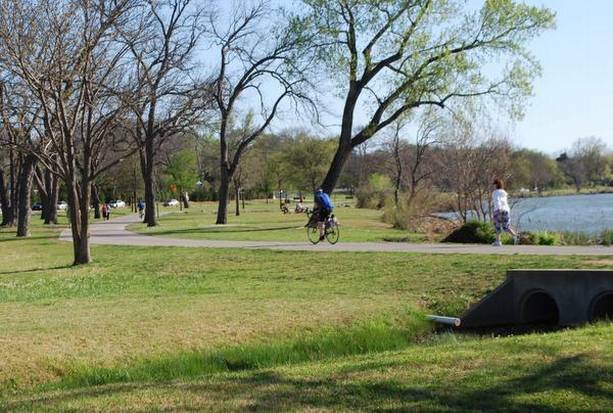 This is a pleasant alternative to the Katy Trail, featuring a more park-like setting and one of Dallas’ most beautiful neighborhoods. 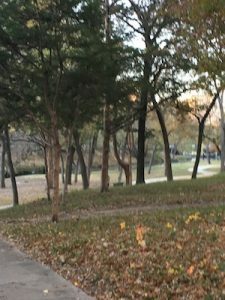 The run follows Turtle Creek Blvd. along Turtle Creek, paralleling the Katy Trail for a good part of the way. You can start near off N. Houston near the American Airlines Arena, and run along the Katy Trail briefly. Just past the bridge over the tollway, a path leads down to Turtle Creek. 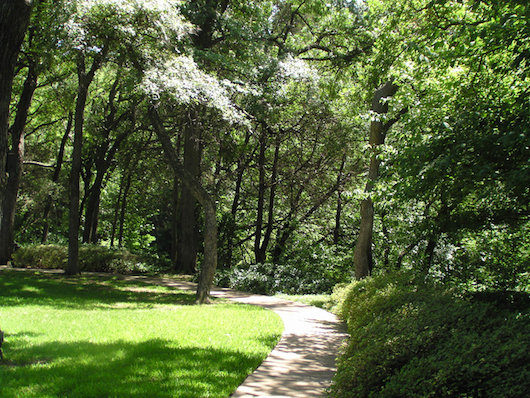 Here, you will run along a combination of park paths and sidewalk along Turtle Creek Blvd. There is not a seamless path along the creek — it sort of goes in and out. There isn’t much in the way of signage or wayfinding. But this is a very pleasant, park-like run of up to 4 miles one-way. Continue along Turtle Creek Blvd. to where it turns into Lakeside Dr., and follow the road along Lakeside Park and Exall Lake. At Beverly, take a right and then a left on Fairfield, to continue following the park to Mockingbird Ln., just west of SMU. Residential streets of Highland Park. North of N. Fitzugh, between Lakeside Dr, and Rt. 75, enjoy a DIY run through the beautiful residential streets of this tony, older neighborhood. Gorgeous homes, older trees. Up to 4 miles one-way from Katy Trail trailhead to Mockingbird Ln.